The P2P Foundation recently launched a new website, the Commons Transition Platform, as a central repository for policy ideas that help promote a wide variety of commons and peer-to-peer dynamics. The site represents a new, more coordinated stage of activism in this area – collecting practical policy proposals for legally authorizing and encouraging the creation of new commons. The website is a database of “practical experiences and policy proposals aimed toward achieving a more humane and environmentally grounded mode of societal organization.” The idea is to begin to outline how policies could bring about and support a commons-based civil society, with a special focus on how collaborative stewardship of shared resources can be achieved. With the Commons Transition Plan as a comparative document, we intend to organize workshops and dialogues to see how other commons locales, countries, language-communities but also cities and regions, can translate their experiences, needs and demands into policy proposals. The Plan is not an imposition nor is it a prescription, but something that is intended as a stimulus for discussion and independent crafting of more specific commons-oriented policy proposals that respond to the realities and exigencies of different contexts and locales. This project therefore, is itself a commons, open to all contributions, and intended for the benefit of all who need it. The Commons Transition Platform currently features three main policy documents, each originally created for Ecuador’s groundbreaking FLOK Society Project. The FLOK Project (Free Libre Open Knowledge) produced a comprehensive set of policy proposals for encouraging knowledge commons and peer production. These documents – written by Michel Bauwens, John Restakis and George Dafermos – have been newly revised and updated in non-region-specific versions. The original FLOK Society proposals are already being adapted by the Catalan Integral Cooperative (CIC) in Catalunya. The FLOK project differed in that it was a state-sponsored study while CIC pursuing its proposals as a completely pre-figurative, stateless initiative. The Commons Transition Plan website plans to track the ongoing developments of both projects. The Commons Transition Plan will also highlight useful projects by other transnational, commons-oriented collectives such as Share the World’s Resources, the Post Growth Institute, and the Sustainable Economies Law Center – all showcased in the Related Projects section of the website. Other highlights include a FAQ on Commons Transition, a News and Articles section with exclusive interviews, and a Wiki entirely dedicated to commons-oriented policy proposals and transition-oriented projects. 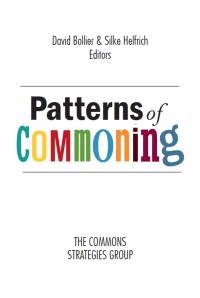 What Is a “Commons Transition”? Bauwens often makes the case for a commons transition from what he calls “netarchical capitalism,” which is based on capitalist exploitation of social cooperation, to a system that lets creators themselves capture the value that they create. Netarchical capitalism, writes Bauwens, is “an evolution from a type of capitalism that was based on the extraction of rent through the privatization of knowledge and the control of intellectual property and supply networks (cognitive capitalism), to a new form of ‘netarchical capitalism’ in which proprietary platforms both enable human co-operation but also exploit it for the benefit of private capital.” Nowadays, he writes, “the whole of society is being transformed into a ‘social factory’ producing commons-generated goods and services. 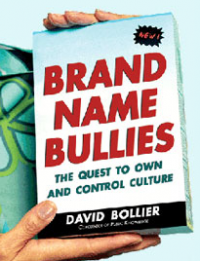 The cases of uncompensated user-generated value for Facebook and Google are obvious examples. The failure of netarchical capitalism to return fair value to its creators has transposed the traditional exploitation of labor in the production of material goods to that of immaterial goods such as knowledge, branding, and ideas that are now the driving force of capital accumulation. This has greatly increased the precariousness of both workers and commoners the world over. Hence, any transition must also solve and restore the feedback loop between value creation and distribution, and create an ethical and civic economy around the commons, moving from extractive forms of exploitative capital, to generative forms of co-operative capital. In other words, capital that returns value to those that contribute to the commons. This process requires the re-conception and re-alignment both of traditional commons and co-operative thinking, and practice, into new institutional forms that prefigure a new political economy of co-operative commonwealth. This in turn, is based on a simultaneous transition of civil society, the market, and the organization and role of the state and forms a foundation principle of the Commons Transition Plan. For most of the history of industrial and post-industrial capitalism, the primary political conflict has been one between state and market – whether to use the state power for redistribution of wealth and regulation of the excesses of the market, or to allow market players to privatize the value of public and social goods and services for the benefit of capital. This is the classic conflict between social versus private benefit and has been called by some the lib (for liberal) vs. lab (for labor and its derivative social movements) pendulum. 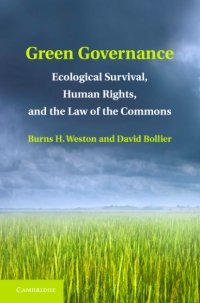 In our current political economy, except for a few researchers who operated outside of the mainstream, such as Elinor Ostrom and her research on the commons, the focus on social value and the common good has been discarded as a historical legacy without future. Indeed, the remaining physical commons that exist globally, mostly in the South, are everywhere under threat while under austerity, what remains of public goods in Europe and North America are also being privatized at breakneck speeds. But the emergence of digital knowledge, software and design, as new forms of commons not only recreate commons-oriented modes of production and market activities, they also show that value is now increasingly created through contributions, not traditional labor, to create commons, not commodities. Through its contributions and the ubiquity of digital technology, it can be said that civil society has now become productive in its own right, and we can make a leap from contributor communities of software developers to a vision of civil society that consists of civil commons contributed to by citizens. The entrepreneurial activities that are created around the commons induce the vision of an ethical economy, a non-capitalist marketplace that re-introduces reciprocity and co-operation in the market’s functioning, while co-creating commons and creating livelihoods for the commoners. This type of economy and market in which co-operation, mutuality, and the common good define the characteristics of a new kind of political economy, point the way to a new state form, which we have called the Partner State. 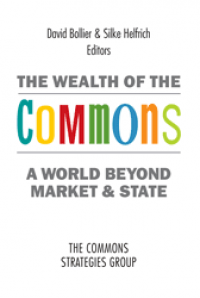 Thus, the commons not only introduces a third term next to the state and the market, i.e. 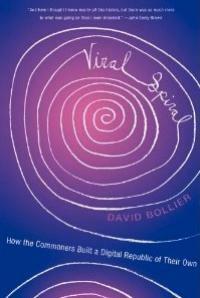 the generative, commons-producing civil society, but also a new market and a new state. 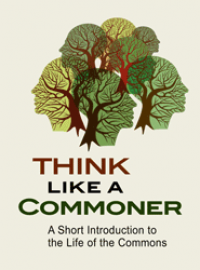 A foundation principle of a Commons Transition Plan is that the changes must happen concurrently in all three aspects of our social and economic life.